HMH Books for Young Readers, 9780152164416, 272pp. 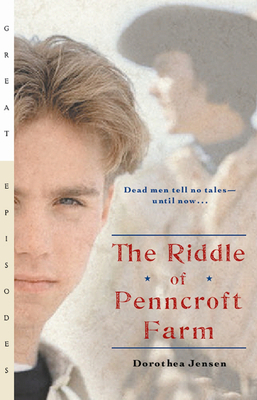 Lars Olafson moves with his parents to the old family farm near Valley Forge, Pennsylvania, to live with his aged aunt Cass. Lars is miserable--until he meets Geordie, a ghost whose stories of the Revolutionary War are as exciting as those of an eyewitness. When Aunt Cass dies suddenly, Lars is faced with a mystery linked to the Revolutionary War--and Geordi’s ghostly stories are his only chance of solving it. DOROTHEA JENSEN is a former teacher of English. She wrote The Riddle of Penncroft Farm to make the American Revolution come alive for her own children. She lives in southern New Hampshire.